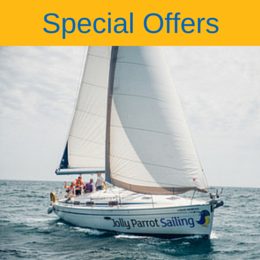 To skipper a yacht on a Flotilla holiday you’ll need an International Certificate of Competence (ICC). Our RYA ICC Flotilla course provides the perfect way to achieve this and is available to sailors who already have their RYA Competent Crew or equivalent. The ICC is a legal requirement in many European countries (except the UK). It provides evidence of your competence to skipper a boat. This 5 day course teaches and assesses boat handling, navigational ability (including use of GPS), man overboard procedure and knowledge of collision regulations. We also focus on personal safety and yacht handling skills required to join a flotilla. RYA Competent Crew or equivalent. Successful completion of this course will count as evidence of your sailing competence – allowing you to apply for your RYA ICC certificate. Please note: An ICC certificate can only be issued to UK residents and proof of your residential address is required. The course starts in earnest at 0900 on Monday or Wednesday morning so the Joining time is from 20:00 on the previous evening. This allows for varying flight times and delays. Sunday 20:00 hrs Onwards until Friday 16:30 hrs. Tuesday 20:00 hrs Onwards until Sunday 16:30 hrs. 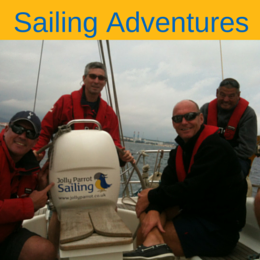 Consider our RYA Day Skipper FastTrack course to take your sailing to the next level. Our RYA ICC Flotilla course covers around 75% of the RYA Day Skipper Practical Course Syllabus. If you hope to charter yachts in the UK in future (where the ICC is not enough) or you’re just interested in gaining more knowledge, it’s well worth considering our RYA Day Skipper FastTrack course instead. If you firmly believe you already have the sailing skills and experience as a skipper to get your ICC, you can take a simple one day assessment with one of our RYA instructors. We’ll obviously need to schedule this on a day when we have a yacht available, so please contact us to discuss.